This is a Congrats card I made for my best friend Ellen when she graduated from Cosmetology School. 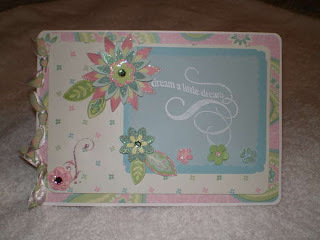 I used K&Co Marcella for it with a little bit of vellum and glitter and flocking for accents. The flowers and ribbons are also from K&Co.